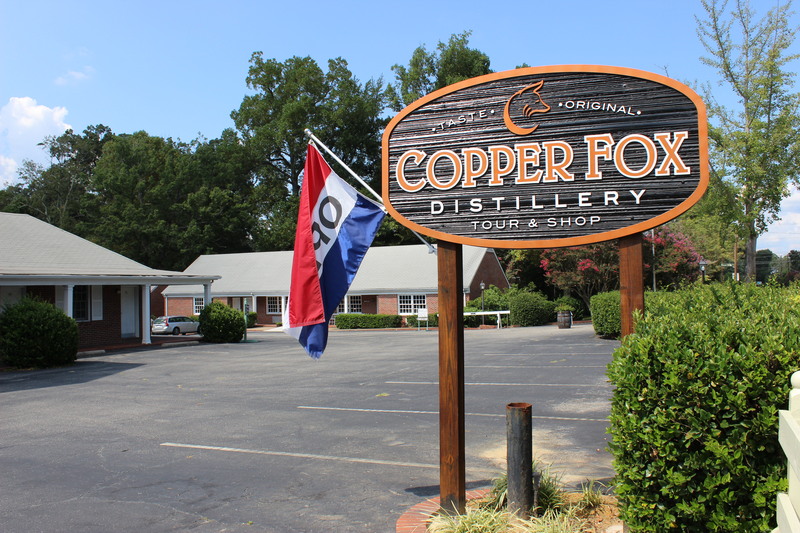 This month we decided to head south and visit the beautiful area of Williamsburg, Virginia and to visit our friend Rick Wasmund who has just opened his second Copper Fox Distillery. The drive is about 200 miles and works better if you spend at least one night. Our trip began Saturday morning about 8:45. This would give us time to stop along the way for a nice breakfast to nourish for the days adventure. Wanting to avoid I-95 south at all costs, we decided to go into Maryland and take route 210 south to Bryans Road and then back roads to La Plata, Maryland and U.S. Route 301 south towards Richmond. 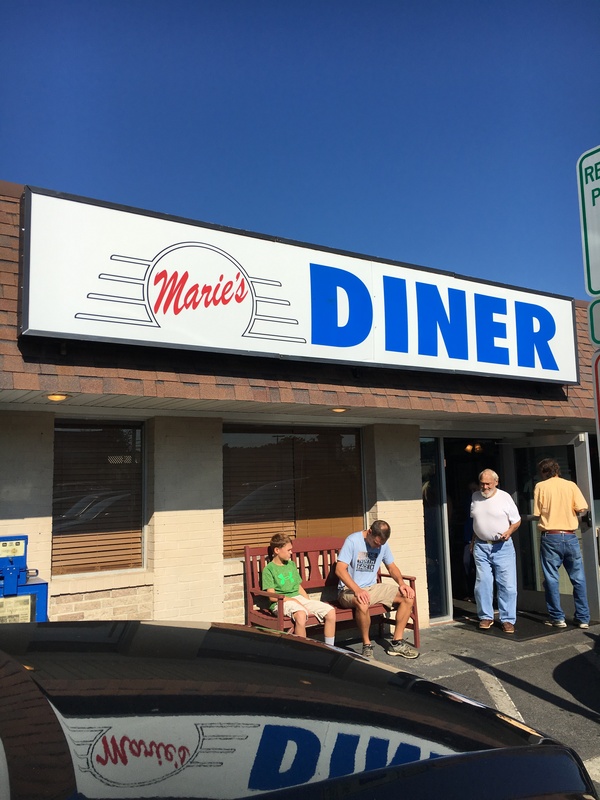 While in La Plata we stopped at a cool family restaurant…Marie’s Diner. It was now 9:30 and we had about a 15 minute wait for a table. The wait was worth it. Great breakfast with country ham, grits and the usual two eggs over easy. 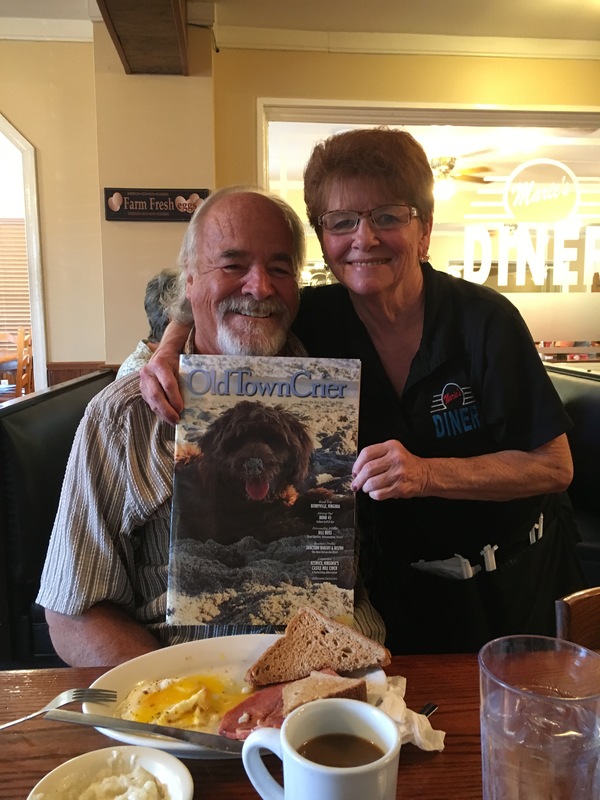 Our waitress, Sandy (or Gramma as the other employees call her) says, “I’ve got wrinkles older than my co-workers!” The restaurant has been serving the locals for 37 years and Sandy has been there 35 of those years. This stop got our road trip off to a great start. A short ways down 301 we came to the town of Newberg and had to stop at the sprawling Glory Days Antiques. Actually this is a place that has not what you need, but everything that you want. 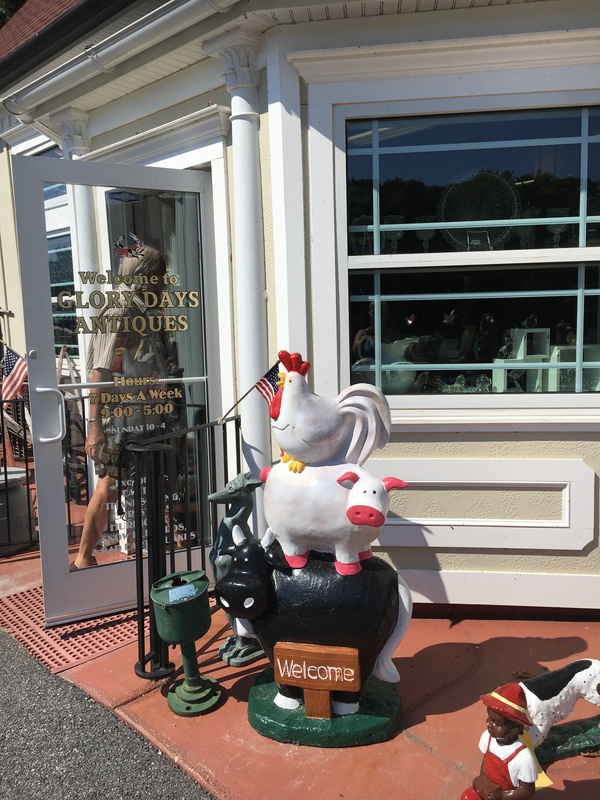 If you are ever looking for a short road trip try Glory Days as a destination and be sure to stop at Marie’s. After paying the $6 toll and crossing over the Potomac River, we were in Virginia and settled back for the drive to I-295 around Richmond to I-64 and on to Williamsburg. Williamsburg is located in the northern part of the Hampton Roads metropolitan area. It is bordered by James City County and York County. Williamsburg was founded in 1632 as Middle Plantation as a fortified settlement on high ground between the James and York rivers. The city served as the capital of the Colony of Virginia from 1699 to 1780 and was the center of political events in Virginia leading to the American Revolution. The College of William & Mary, established in 1693, is the second-oldest institution of higher education in the United States and the only one of the nine colonial colleges located in the south. The city’s tourism-based economy is driven by Colonial Williamsburg, the restored Historic Area of the city. Along with nearby Jamestown and Yorktown, Williamsburg forms part of the Historic Triangle, which attracts more than four million tourists each year. At the outset of the American Civil War, enlistments in the Confederate army depleted the student body of the College of William & Mary and on May 10, 1861 the faculty voted to close the College for the duration of the conflict. In 1924 the Reverend W.A.R. Goodwin launched a building and fundraising drive to save houses in the historic section of Williamsburg for use as student and faculty housing. In the process Goodwin obtained the initial, and later complete financial support of John D. Rockefeller, Jr., the wealthy son of the founder of the Standard Oil monopoly. Rockefeller began buying up property and houses and had agreed to pay for college restoration plans and drawings. He later considered limiting his restoration involvement to the college and an exhibition enclave. He did not commit to the town’s larger restoration until November 22, 1927 – now known as the uppercase Restoration birthday. Concerned that prices might rise if word got out that Rockefeller was buying up property he and Goodwin took Williamsburg attorney, Vernon M. Geddy, Sr. into their confidence and Getty began to do much of the title research and legal work related to the properties in what was to become the restored area. Going back to Revolutionary times, Colonial Williamsburg is a beautifully restored city with sights, sounds and plenty of shopping and dining. There are at least six places for overnight accommodations within the restored city. Tour the city by horse-drawn carriage, fire an 18th century firearm at the Colonial Musket Range, visit museums and enjoy a tavern dinner. Jamestown is part of the historic triangle and s minutes from Williamsburg. Here is the first permanent English settlement in the Americas. William Kelso writes Jamestown “is where the British Empire began…this was the first colony in the British Empire.” Within days of landing, Powhatan Indians attacked the colonists. In a few weeks the English had erected a fort and the first colony in North America took hold and the seeds for the United States of America began to grow. Today you can learn from the experts who are adding vibrant details to the Jamestown story with their archaeological research. Here you will also hear the stories of disease, famine and Indian attacks. Also stories of Captain John Smith, the “starving time” and Pocahontas. 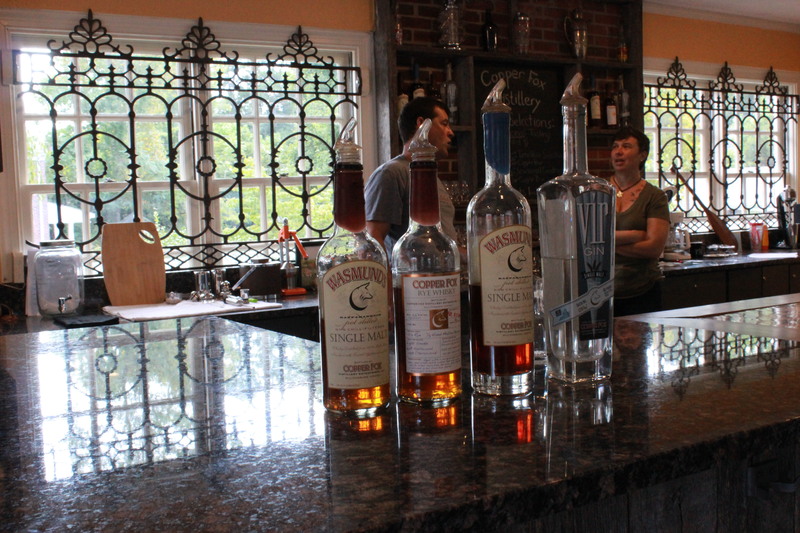 Less than two miles from Colonial Williamsburg is the new Copper Fox Distillery. This is the second location of our friend Rick Wasmund and his libation creations, Wasmunds Single Malt American Whiskey, Wasmunds Blue Top, Copper Fox Rye, VirGin and Belle Grove 1797. Rick is one of those rare breeds who thinks that he can do anything, and he usually does. Laid back with a soft voice, you would think that he might want to take a nap any minute, but that is his daylong demeanor. He just keeps on going. One of those moments struck Rick at the end of the last decade when he went to a scotch tasting. Hummm, maybe I can do that! After some research he decided to head to Scotland and learn from the experts. Wasmund began an internship that lasted 6 weeks at the Bowmore Distillery on the Isle of Islay on the shores of Loch Indaal. 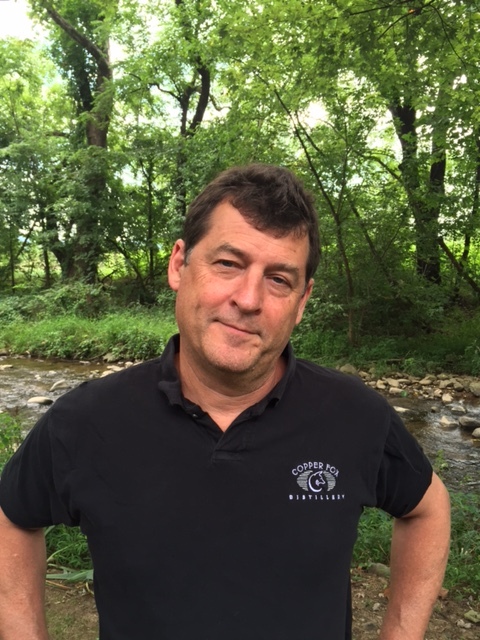 Five years later, with the hopes of purchasing the equipment from a Virginia distillery, Wasmund looked for a suitable site and found it along the Thornton River in Sperryville, Virginia. 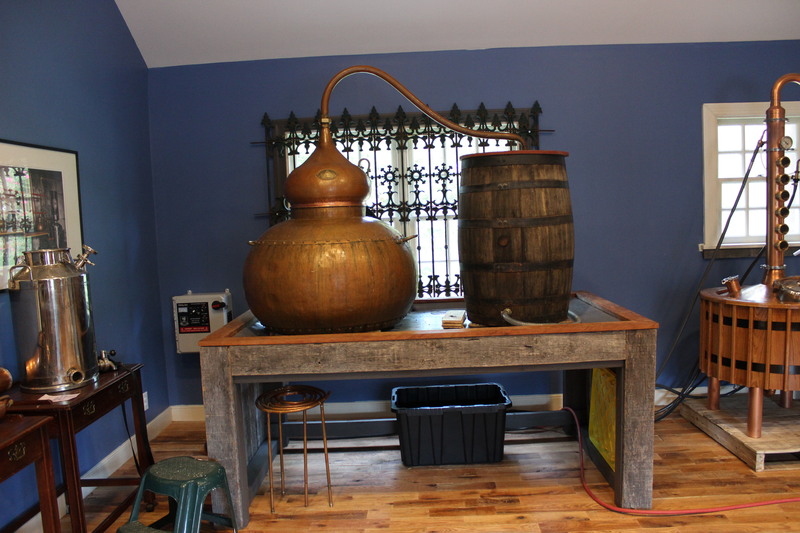 The purchase deal fell through but with that “I can do it attitude”, Wasmund set out to purchase equipment and assemble his distillery. With the help of his friend and business partner Sean McCaskey. In about a year Copper Fox produced it’s first bottle of Wasmunds Single Malt and the production for that year totaled about 100 cases. Today that distillery is producing 10,000 cases. As the business began to grow, the building didn’t, and although the aging process for their whiskeys is only about 13 months, the need for additional storage came to the forefront. By this time the distillery had contracted with a farmer in southern Virginia to buy their barley crop, the grain with which to make malt. As the craft beer craze began to sweep through Virginia, Wasmund saw an opportunity to provide the brew masters with the best malt available for their beer recipes. Now they market their own malt, which is done by hand, but this again becomes a space issue. Along comes Williamsburg. In 2014 Wasmund became aware of a 6 acre, 104-room motel that the city had bought and was willing to sell. With the vision of how he could turn this into a perfect distillery, in the heart of Williamsburg, he swung into action. Purchasing the property a year ago he has already set up a bottling room, a tasting room and retail store. He has renovated one big building for barrel storage and is putting the finishing touches on the new malting area. With the tasting room retail shop the enterprise is now making money. The barrel storage capacity will allow Sperryville, under the watchful eye of McCaskey, to produce more spirits. When the malt room becomes operational there will be an increased production of some of the best local malt for the new breweries. This is not all done alone. Rick married his wife Chelsea in 2010 and has produced two beautiful children. Camille who is 6 years old and already a budding ballerina and 4 month old Mason who is quickly keeping up. I am lucky…I have known these people for the past 10 years and their success has been remarkable. And I know that it has only been achieved by ALL of those involved and their belief in Rick’s vision. Stop by Sperryville or take a road trip to Williamsburg…see the sights, soak up the history, and settle down with a nice Wasmunds, ice, splash of water or Copper Fox Rye…and enjoy. Drive safe!